Good Person To Know is a networking hub where you can learn from amazing and inspirational people who share their expertise, words of wisdom and tips to help you succeed and be happy. Each week she posts videos of good people she’s met and highlight their key points, which recently, happened to be me! 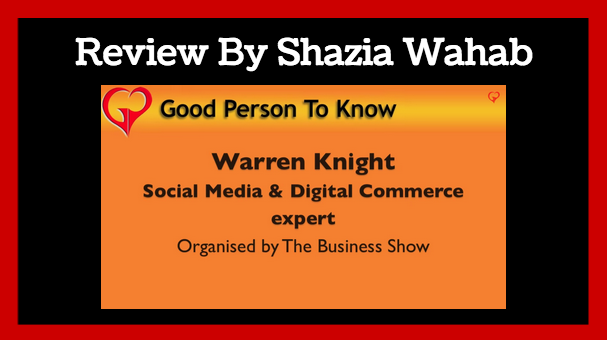 Warren is something of a whizz when it comes to social media. He spends only an hour sorting out 7 days worth of content. Warren talks through the sites he uses to make his work as easy as possible. If you want to know how frequently to tweet and keep your followers up to date, watch this video.